Leaves are changing color...Fall has arrived... and by the influx of orders for our German specialty items, one can tell that Oktoberfest Time is here. From strudel to bienenstich with a little Polka music in the air, the taste of the season can be savored just by walking in our door. October happens to be prime Apple picking season as well; so by no surprise many of our items feature this beautiful Fall fruit. 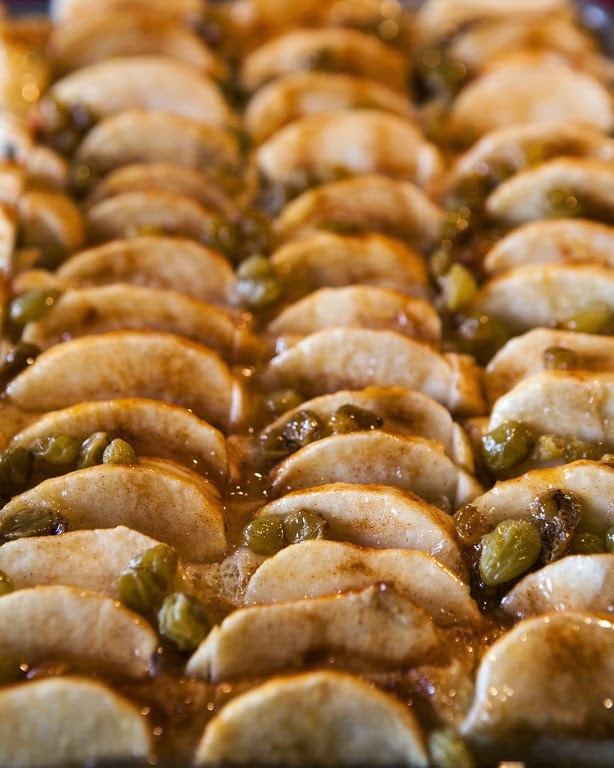 "A" is definitely for Apple, as in green-apple pie, apple strudel, apple cake, french apple squares, apple crumb pies, apple-cider donuts and our hand-dipped caramel apples lightly rolled in crunch. For those of you who think the taste of the season needs to be laced with pumpkin and spice and not apple...well we have that taste covered too!!! Pumpkin bread, pumpkin pie, washington cake, chocolate dipped oatmeal cookies, carrot cake and more.